Home / awesome deals / curved tv / great deals / great gadget / monitor / samsung / samsung tv / tech / tv / Buy a Samsung Curved TV and get another TV for FREE. 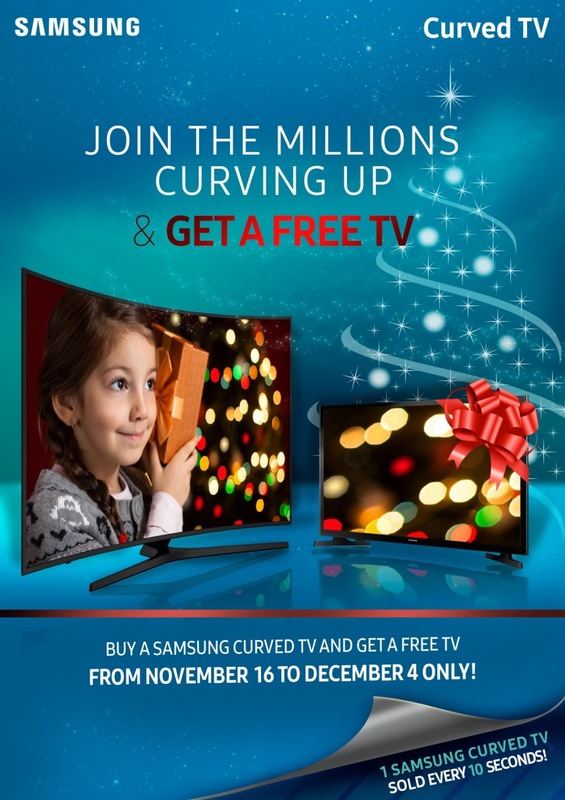 Buy a Samsung Curved TV and get another TV for FREE. Christmas season in the Philippines starts as early as the September kicks in. Getting busy with Christmas decorations, planning family gatherings, and completing gift list all contribute in spreading the Christmas vibes. 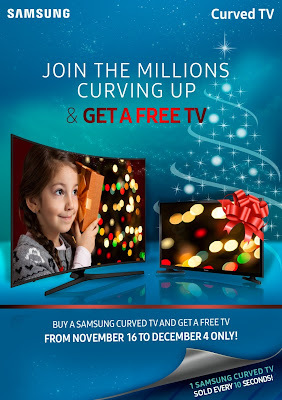 Luckily, Samsung joins in bringing the holiday cheer by providing exciting deals to splurge on for Filipino families when they buy a Samsung Curved TV from November 16 to December 4. More than these holiday treats, the best gift for the family will be the best home entertainment upgrade. The Samsung Curved TV delivers a sense of depth that draws viewers deeper into the show they are watching, giving them a much more immersive feel. These upgrades made millions to shift to Samsung Curved TVs since its launch in 2014. Finalize your gift list for the family by heading on to the nearest participating authorized Samsung outlet to bring home the new star of your entertainment room. For more details, visit the Samsung Facebook page or log on to samsung.com/ph/offers.